Aussie was a stunning white dog who was a consistent winner at Group and in Show Level. He produced some fantastic progeny with several of them gaining Ch status. 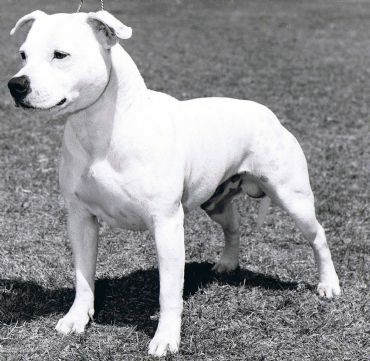 He also was a major contributor to whites in SA and still remains in the pedigree of colours in the ring today. He was resuced from a pund by us at the age of three. Carried the spectacular Ch Spaceline Mad Max and Ch Spaceline Mad Dog Morgn doubled up on his pedigree. Was a much loved member of our family.